Titan Aerospace has unveiled designs for the world’s first solar-powered atmospheric satellite. The craft, which resembles a large drone, would be completely powered by the sun, allowing it to stay in the air for five years with a mission range of over 4 million kilometers. The solar-powered satellite is known as the Solara 50 and would be launched at night using power from its battery banks. 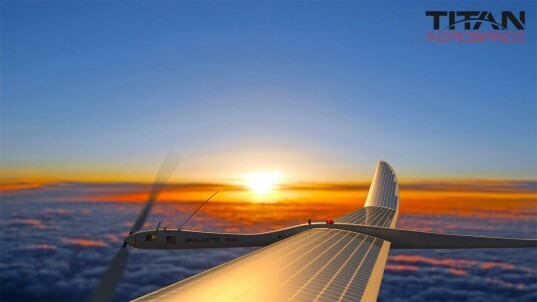 During the day, the aircraft would take position 20km above the Earth allowing the sun to charge its solar batteries. The satellite’s on-board management system ensures voltage and thermal thresholds are maintained in the subzero atmosphere. The Solara 50 is not a small craft. It boasts a wingspan of 50 meters and is 15 meters in length. It’s also fast—capable of cruising at 104 kilometers an hour. Titan Aerospace have said that the aircraft could be used for multiple applications, including mobile communications. Its systems would be able to provide coverage for over 17,800 square kilometers, making a single Solara platform provide a greater reach than 100 terrestrial cell towers. Despite the Solara 50 capability of lifting payloads of around 32 kg, its sibling—the Solara 60—is reportedly capable of providing “atmospheric parking” for over 100 kg of payload – enough to transform how satellite systems are taken into space. Titan Aerospace has unveiled designs for the world's first solar-powered atmospheric satellite. 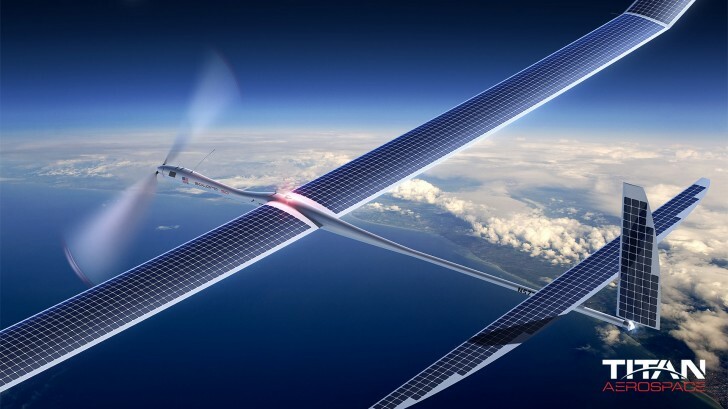 The craft, which resembles a large drone, would be completely powered by the sun, allowing it to stay in the air for five years with a mission range of over 4 million kilometers.